This was a nice and productive week. A tad too busy at times. I worked on some new tours, some of which are live already and some not. And the tour for Forever and One week ran this week and a cover reveal I organized took place this Saturday. Besides that it was a pretty normal week, I ruined my plan of getting less new books again this week by getting three new ones, while I was doing so well last week with my only one new book. And I fell behind on replying to comments again, this is becoming a trend now and I don’t like it. I hope I can catch-up on comments soon! After the nice comments I got about the deals last week I decided to keep doing this if a book I have read or plan to read is on sale. Today I got a freebie deal for you, for Forever Hers. Today is the last day it’s free, so make sure to grab it soon! 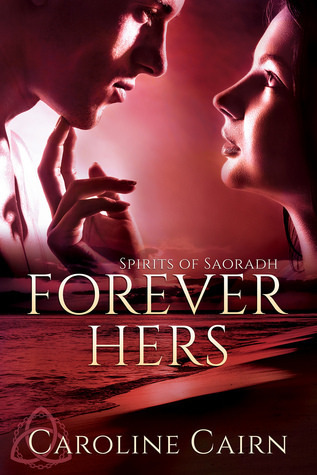 It’s an original paranormal romance, with spirits who can fulfill wishes, realistic characters and a great romance with fun banter between the characters. And face Time is still on sale for only 0.99$ till the end of the month, so make sure to grab your cop of this awesome romance book! One of the best romance books I’ve ever read! – Book Blitz: True Calling series by Siobhan Davis 28 June till 4 July – New! – Blog Tour: Across Borders by Lee DuCote 28 June till 18 July – New! I also did well and only got one book last week but somehow ended up with three this week. But one of them I already knew I’d be getting and was just waiting for the author to finish edits, so technically that one didn’t make my TBR grow any lol. I also think it’s funny that just as I stopped posted book deals, you started posting them 😛 We have some weird coincidental stuff going on right now. Anyway, enjoy your new books and have a great week! I already knew I would be getting one of these and am currently reading two of the books I got new this week, so I don’t feel too bad, although I can’t seem to do well and only get one new book for a few weeks in a row. That sure is a weird coincidence. I wanted to give an extra shout out as two books I gave 5 stars were on sale last week and then decided to just keep including it if I had good deals to share. I like oreo’s and peanut butter, but the peanut butter oreo’s were a bit disappointing. I think I also prefer the cookie part of an oreo, I often tear of the top part and eat it like that and then the other half with cream. I love peanut butter, I have this peanut butter pasta dish that I like and a peanut sauce dip for my spring rolls. Oh and peanut butter cookies are the best! I should make those again sometime. I hardly every eat peanut butter plain, but I like it in bakings and dishes. Yay for productivity! My son is an Oreo freak and loves the plain and the peanut butter. There are so many flavors, even watermelon. I’m not big on Oreos in general, though. Enjoy your new books, Lola! I wish they sold more flavours here, we only have the plain ones and plain covered with chocolate. I can’t imagine how watermelon oreo’s would taste. I usually set-up my Sunday posts in advance and this time I already knew of the deals books that I wanted to feature, I don’t have any yet for next week, so I might skip it then if I don’t have any deals to share. Same here we only have normal ones and the chocolate covered ones and I want to try more flavours. My favorite Oreos are original, but I recently tried Red Velvet, and they’re delicious! The worst for me was Candy Corn. Yuck! Oh red velvet sounds like a good flavour. We don’t even have candy corn here, so I can’t imagine how candy corn oreo’s would taste. I did replies and commenting backs for 3 days worth of posts yesterday, whew. I finally feel a bit more caught up, now let’s hope I can do most of the Sunday posts comments today. I really dislike falling behind it makes me feel stressed and I want to reply and comment back to everyone as I really appreciate all the comments. You know, I didn’t care for Oreos until a few years ago? Even still, they aren’t my favorite cookie! BUT, the mint ones are SO GOOD! I never had the mint ones, I would try those if they sold them here. I like oreo’s now and then, they aren’t my favourite cookie, but I do like them. I am glad to hear you like the deals section, not sure if I will include it every week or only if a book I know is discounted. I do like peanut butter and peanut butter and chocolate, but the peanut butter oreo’s just were a bit underhwelming I guess? I also have some things I only like in combination or only when prepared a certain way. Yes my plans to not get any new books always backfires. Already got one new book this week as well. They weren’t as good as I hoped, I’ll just stick with the normal oreo’s for now. Those golden oreo’s with chocolate creme sound interesting. I would try those if they sold them here! Awesome haul of books this week. I hope you love all of them. The oreo cookies look interesting. The sounded interesting indeed, I just hoped they tasted more exciting. I already am reading two of my new books and enjoying both of them so far. I also love peanut butter, but the peanut butter oreo’s were just a bit underwhelming, they didn’t have a rich peanut butter flavour. 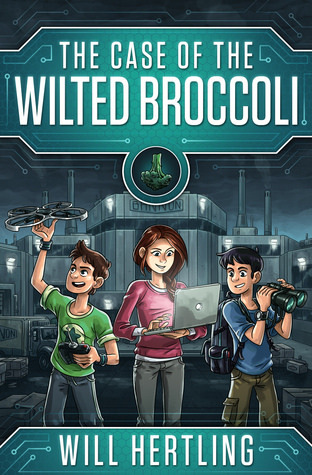 I just finished reading the MG book and it was a good one. 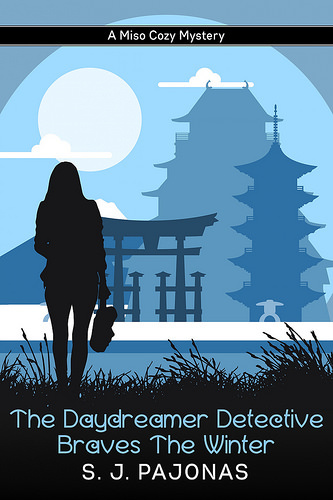 I like the mystery and had fun reading it :). I don’t think I’ve ever had the peanut butter oreo’s. I really like the original flavor too, but I haven’t tried that many of the other ones. We have these Golden Oreo’s though, and those are good – the cookie is vanilla and not chocolate. That’s the biggest different. I am thinking maybe the original flavour is just the best, although I would like to try a few other flavours. The golden oreo’s sound interesting, like a reverse oreo. Peanut Butter Oreos do not sound good! Have you tried the double stuff Oreos they are amazing!!! The mint ones are nice too but I have only been able to find them in the States. Nope we only have the normal ones and the chocolate covered ones here. And now the peanut butter ones that are limited edition. The double stuff and mint ones sound good. I would try those if they sold them here! I prefer the plan white in the center of my oreo’s. I have a hard time changing things up especially if I find something I like. Food is even harder I’m very picky! I like trying new things, although I am still pretty picky about what I like too. Okay, I got all psyched up for the PB Oreos so I’m kinda bummed they weren’t good, since I know both you and I LOVE peanut butter. I like the mint ones the best, actually. They’re really good. The plain ones are still a go-to cookie for me. Here in the States we get ALL TYPES of weird Oreo flavors. I wish I could just buy one little sleeve to try them instead of buying a package with three sleeves. 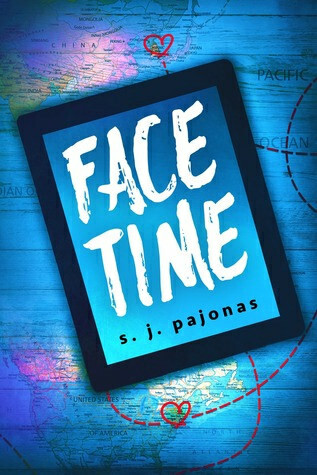 Thanks again for featuring FACE TIME! It’s been a great month having it on sale and I’ve even garnered a new review! Huzzah! S. J. Pajonas recently posted…Taking The Weekend Off! I love peanut butter, but these just didn’t have a rich peanut butter flavour. The creme just tasted a bit meh, the normal ones creme tastes better. It’s a shame as I was pretty excited for these. I wish I could try some of the weird flavours you have there, just to see how they taste. The mint ones sound good! Here we only have the roll packages like the one shown in the picture and boxes with them packed two cookies per package and then 6 of those or so in one box. I wanted to give it another shout out for people who might’ve missed it last week. It’s been fun to see your blog posts about Face Time and I hope a lot of people grabbed their copy. And yay for the new review! I am an original Oreo lover. The flavors just aren’t the same. Looking forward to the Jill Shalvis book. Have a great week. I guess I am not missing much then. I still wish I could try the flavours, just to know how they taste. I enjoyed Jill Shalvis her Cedar Ridge series, so I am excited for this one! I’ve read a couple of books and most of them have been great. You’ve had quite the haul to read. I like the plain original Oreo’s. I’e tried a few other flavors and just didn’t care for them at all although peanut butter is a new one for me, I haven’t seen that flavor here. I already started two of the books in this weeks haul, so that’s a good start! I prefer the plain oreo’s so far as well. The peanut butter oreo’s weren’t too impressive. I would like to try some other flavors, just to see what they taste like. I have both of the books in my own tbr pile from your deal books, Face Time and Forever Yours. As far as oreos? Give me double stuffed plain. The pumpkin spice ones are wonderful though-but you only get those around Halloween. Red Velvet ones not so good, in my opinion. Hope you have a great week! Yay! I hope you’ll enjoy both Forever Hers and Face Time! We don’t have the double stuffed ones here, but they sound nice. And I would totally try pumpkin spices ones if they sold those here. Oh yay for a productive work week. 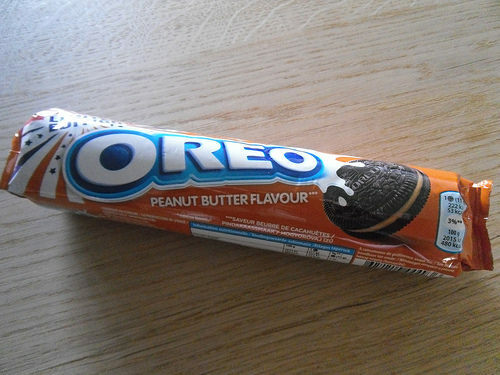 Hmm, I would definitely try peanut butter Oreos. I like plain ones once in a while and definitely in Cookies N Cream Ice Cream. LOL, it is soooo hard to resist new books for review or on sale. I’m doing better, but I got another one this week, too. My mom made homemade oreo ice cream a few times and it’s so good! The peanut butter ones didn’t taste as good as I had hoped, I prefer the plain ones so far. I couldn’t resist the MG deal and it’s a fun one so far. The other one was a review copy I was waiting for and am currently reading. And I couldn’t resist requesting the Jill Shalvis book on edelweiss when Anna told me it was there. I already got a new review book this week as well, lol. I’ll have to do better next week. I have been busy too so I’ve fallen behind on visiting blogs and replying to comments. But there are somethings we have no control over so we have just do our best. All bloggers understand so we shouldn’t worry about it lol. Sweet Little Lies looks really good. Since I live in Northern California it would be fun to read a book set in San Francisco. I hope you enjoy all your new books and have a great week! It’s a shame when that happens. I managed to do a lot of catching up on Sunday, so I am almost fully caught up now again, whew. And I agree all bloggers understand when that happens. I am really curious about Sweet Little Lies, I enjoyed this author her previous series, so I am curious if I enjoy this one as well.